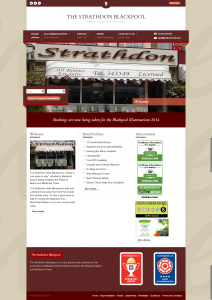 In May 2013, the owners of The Strathdon Hotel in Blackpool asked me to redesign their website after taking over the hotel in June 2009. Veronica and Ian asked if I could completely change the look and feel of the website to match their branding and character. The business colours are soft cream and burgundy with a touch of terracotta which I incorporated into the design of the website. The original website was put together for the previous owners a number of years before Veronica and Ian bought The Strathdon Hotel. 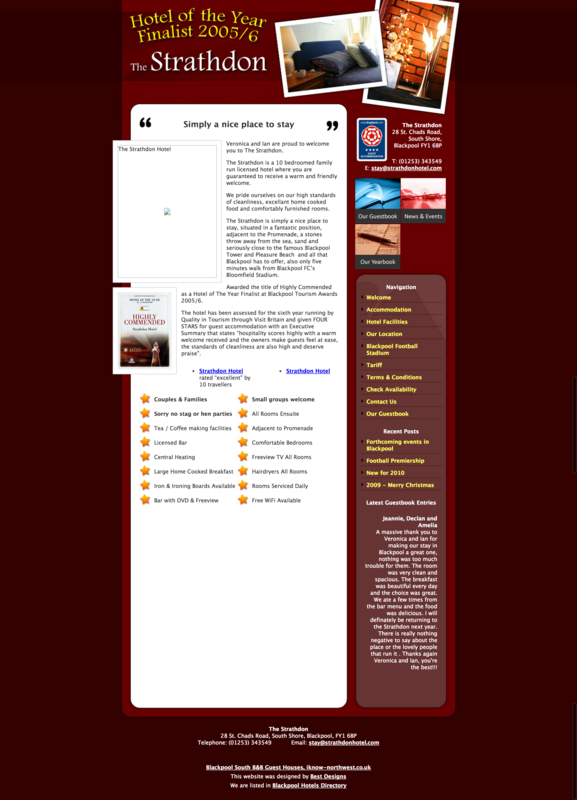 Unfortunately it was very dark, difficult to navigate, had broken links everywhere and didn’t support mobile devices. 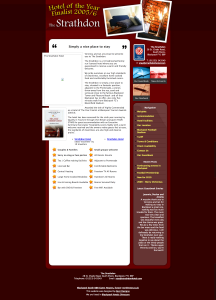 It was highlighted through good analytics that the majority of their visitors were viewing their website on a table or mobile device, therefore it was paramount that they updated the website to be responsive which was not possible to do with original design (shown below).